The man who calls himself “The Wish Runner” is attempting a World Record. His request was officially accepted by Guinness in January of this year. 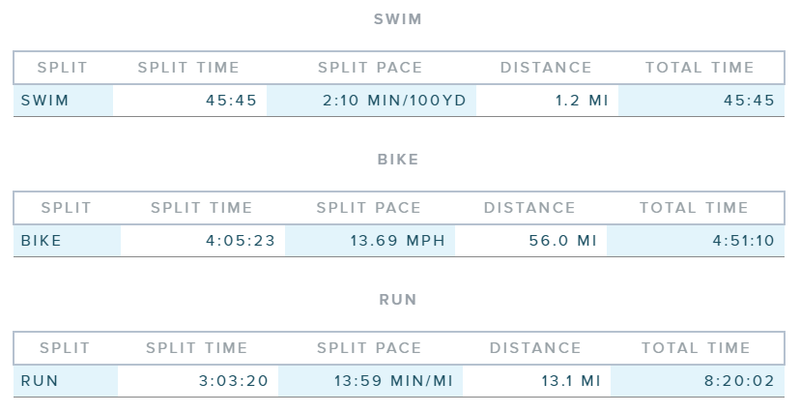 He is attempting to beak the record for most Ironman 70.3 races completed in a year. The current record is 23 set by Robert Verhelst in 2015. 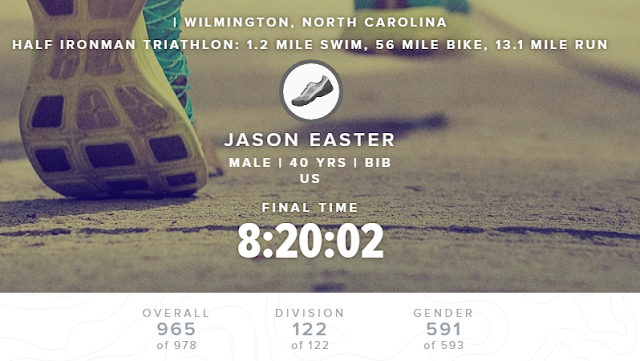 His Athlinks profile shows one Ironman 70.3 race in his history. He finished 965th out of 978 overall. It would be a challenge for Jason to get this record if this performance is indicative of what to expect going forward. According to cutoff standards that I found, similar times would result in him missing the cutoff. His goal, as posted on Facebook is to complete 30 Half Ironmans in 12 months. He completed his first attempt in December. A marked improvement from his first effort. Let’s look at the splits. Had HITS enforced the cutoffs, Jason would have been done after the bike portion. The cutoff would typically be 5 hours and 10 minutes. Jason finished just shy of 6 hours. What stood out was the run. He completed the run in 1:32:18. Looking at his Athlinks history, all of his standalone half marathons are over 2 hours. Also, it would appear that he was struggling. 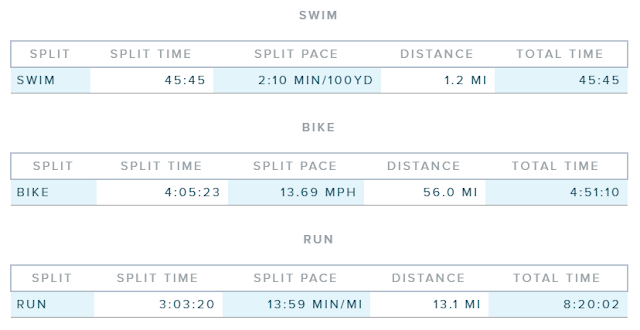 His swim and bike portions were slower than in his October 1/2 Triathlon. For (nearly?) 13.1 miles, after a swimming for over 1 hour, and biking for over 4-1/2 hours, he ran at a pace faster than his 5K personal record. If the course was accurately measured at 13.1 miles, he ran at a 7:03 minute per mile pace. His 5k P.R. equates to a 7:54 minute/mile pace. One important note: Looking at Strava FlyBy Data from race day, (Jason’s Strava account appears to be private) it appears the course may actually only measure approximately 12.6 miles. If this is the case, his pace equates to a 7:20 minutes/mile pace – still beating his 5k P.R. by over 30 seconds per mile. There were no timing mats on the course, and the course seemed a little convoluted. It would be possible for a runner to get lost, but they surely would realize when they made a mistake. According to at least one poster on slowtwitch.com, there was cheating witnessed. Whether it was intentional or not, I am firmly of the opinion that he did not complete the 1/2 Ironman in the time he is credited with. I have reached out to Jason, and have yet to receive a response. I reached out to the race, and received a canned response that they were forwarding my concerns to the timer who will review the splits and thanking me for my participation in the race. He has 19 sponsors listed on the site. He has posted that he receives equipment and product from some of the sponsors. I don’t know if any are contributing financially to help cover his expenses of traveling around the country doing these races. The stated goal of the record attempt is to raise money for The Make A Wish Foundation. In fact, Jason hopes to raise enough money to make 100 wishes come true. According to the Make A Wish website, the average cost of granting a wish is $10,130. If this is the figure Jason is using, that would mean that he would need to donate over $1,000,000 to meet his goal. Jason explains that the regional average is lower, so the donation goal would be $600,000 for Make-A-Wish (6,000 per child). At about 1:10 of this video he mentions some details regarding The Wish Runner Project and the proceeds. Jason explained via Facebook after this was posted that 10% of donations from the direct link go to go to Make a Wish, 5% to Children’s Tumor Foundation and the rest to support the run. There are direct links to Make A Wish and The Children’s Tumor Foundation on his site. My personal recommendation is that if you want to support The Make A Wish Foundation, that you do so directly. As always, I will communicate all updates through Facebook and Twitter whenever I make a new post or have an update. To support the blog, and my efforts to keep race results clean, please consider a small contribution. These donations go towards purchasing race photos, compensating those that work to pull data, and general expenses associated with the site. Cheating aside, i think collecting money for charity and pocketing most of the proceeds (90%! in this case) shouldn't be legal. His explanation is that he has direct links to the charities. The donations to the Wish Runner Project support the races. The 10% + 5% to the Children's Tumor Foundation was coming out of the Wish Runner Project donations which supports his runs. Unrelated, but I hear that runDisney completely erases Tony Stark’s alter-ego from any Avengers Half material to avoid legal trouble with the Ironman races. You mean partial runs 😉 I'm glad he has the direct links, i did see that in the article, and as you pointed out you should always donate directly to a charity. Speaking in general, i just hate seeing donations that go through supporting someone's hobby, passion, goals, mission, etc. first. Don't know much about Triathlons, very interesting that it seems like he won't be able to keep this up without cut-off issues. Iron Man 70.3 is what iit refers to them as for the official Guinness record. Like I said, nothing you said is a problem, I just wanted you to be aware of the terminology. Keep up your great work; I support you 100%. great job, Derek. Not a tri-athlete but it seems like "cheating" is easier in these races than marathons. (see the NY Times expose from last year on one such person who cheated with abandon). Again, what makes this alleged cheater even more egregious is the money he's making off of this. Really reprehensible if circumstantial and analytical evidence is proven true. Hmm. I don’t know. If you were to look at my half marathons in the last 12 mos, I have a 30 min difference in finish times from best to slowest. I rarely do 5 ks and my half PR is a better pace than any 5k in the last 12 mos. I’ve never cheated, but buy your explanation, it looks like I could be scrutinized. People can have better and worse days. I disagree with him collecting money to cover his races under a charity claim, but if he states on his site where the money is going, people should read that before they donate. Yes, there may be a difference over a long period of time. What the article is referring to, I think, is the fact that there is such a discrepancy over the span of two races. 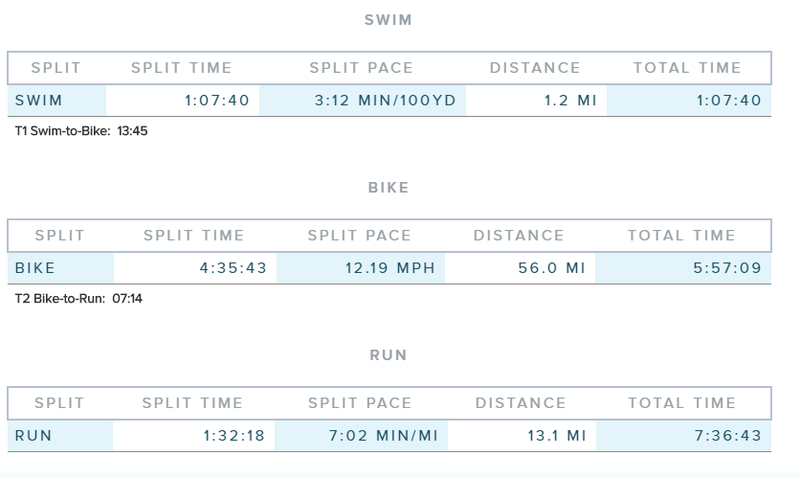 When looking at the two 70.3 races, the swim and bike times are comparable but the run is cut down by half in the second race. Yes, training over months will help your time but I just don’t think you can gain that much in a 6 week period. Wow, this is way worse than just cheating to get a good time. Misrepresenting raising charity funds is fraud and would be a felony. Keep reporting and well done.